This is the auspicious and holy full moon day on which celebration and homage to the Guru are paid. Guru means “one who removes darkness or ignorance.” Traditionally, this day is set aside for worship of the spiritual teacher and attempting to pay our debt of gratitude by study of the scriptures and practice of the teachings. 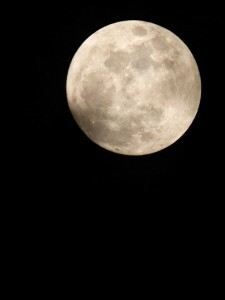 The ideal we wish to attain is vividly represented by the full moon. It is at this time the moon receives to the fullest extent the dazzling light of the sun and reflects it perfectly. Thus it is this supreme ideal of fully reflecting the divine splendor that is aimed at through the surrender to and worship of the spiritual guide, through the study of and meditation upon the truths of the teachings. The human mind being purified by service to the Guru and assimilation of the teachings becomes serene and calm and then faithfully reflects the Atman (Pure Consciousness). The guru is ever by your side – in truth the guru dwells in your heart. You have only to think of the guru with real faith and devotion and you will at once feel the guru’s spiritual presence. Guru Purnima is the time to honour this guide – to begin or to renew our spiritual aim by living our lives in awareness of the choices that can take us to our highest ideals. May all that we have read, seen, heard and learned become, through sadhana, transformed into a continuous outpouring of universal love, ceaseless loving service, and continuous prayer and worship of the divine within all beings. Through our ancient Vedic ceremony of yajna, we will honour Babaji and all spiritual teachers. May we rededicate ourselves to all that the teachings inspire within us to attain real peace. We offer our gifts from the heart in deep gratitude. If you are interested in being an offerer at the yajna, and/or helping with preparations or clean up, please contact Rajani 250 537 9537.